Your homes roof is critical for protection from wind, water and hail damage. For those reasons, choosing a trusted residential roofing contractor is very important. Besides the obvious things you need to look for, such as licensing, insurance and certifications, you need an experienced professional to ensure the job is done right. 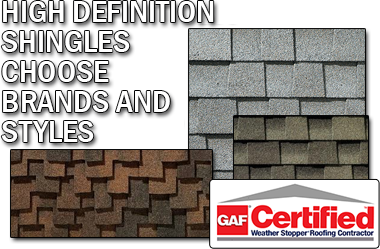 Our experience in the installation of compostition shingles assures that you will receive only the most professional and expert workmanship available. Weve been installing residential roofs for happy customers for many years! With Home Enhancement Services LLC you get more than great value, you get an entire team of residential and commercial exterior problem solvers. Plus, you get a lifetime warranty, 24-hour turnaround on most jobs, and amazing customer service professionals who are here to make sure youre happy every step of the way.